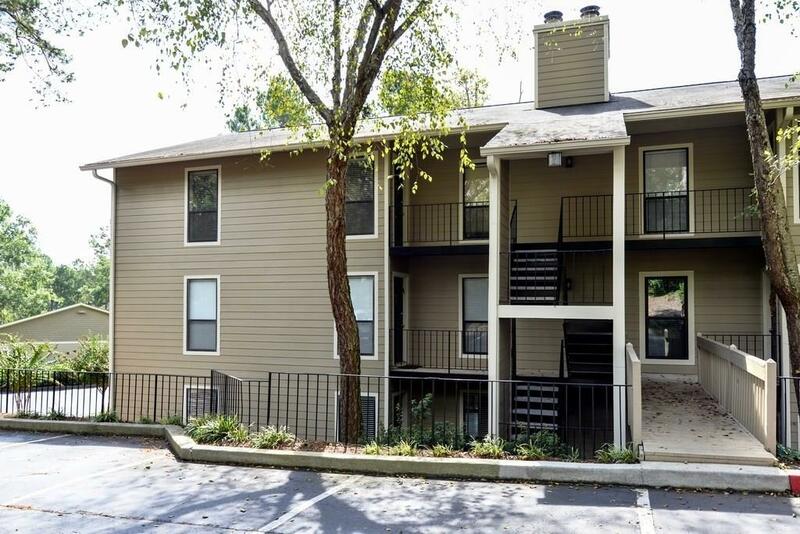 Hot Roswell 2 bedroom and 2 bath condominium in desired gated community of River Mill! Close proximity to Historic Downtown Roswell, Chattahoochee River and GA 400. Community boasts year round swim, tennis, 2 gas grills and beautifully landscaped grounds. This end units special feature includes drive up access to your private patio. NO STAIRS! Roommate floor plan and low maintenance living make this condominium the perfect package. Directions: Take Ga 400 N To Exit 7. Head West On Holcomb Bridge, Then Left On Hwy 9. River Mill Entry Gate Is On The Right And Make Quick Right For Visitor Entrance. Building 7 Will Be On Your Right. Unit 701 Is An End Unit. Lockbox At Back Patio Gate And Is Labeled 701. No Sign As Per HOA Rules.